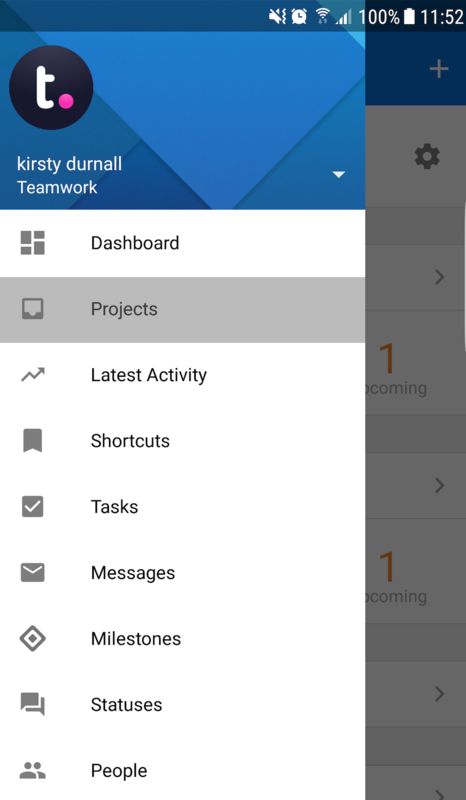 Within Teamwork Projects, you can create new messages in your projects via the Projects Android mobile app. To create a message tap on the menu icon (three lines) on the top left of your screen. In the sidebar menu, select the Messages tab. 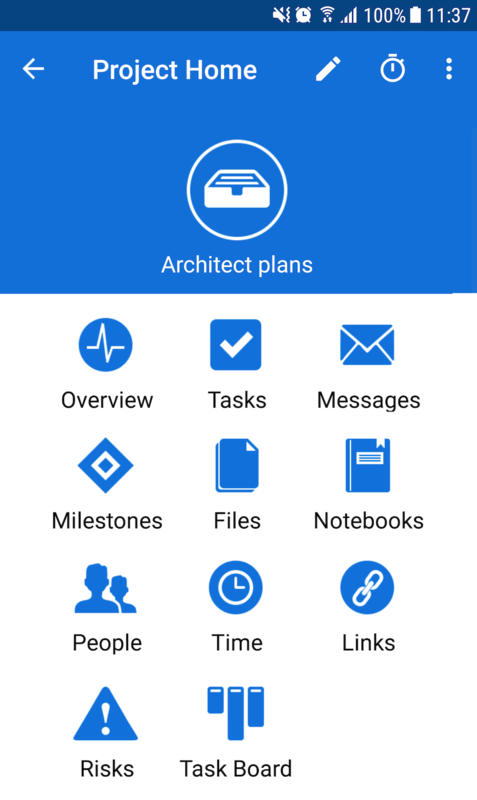 In the messages section, select the + icon in the top right of the screen. 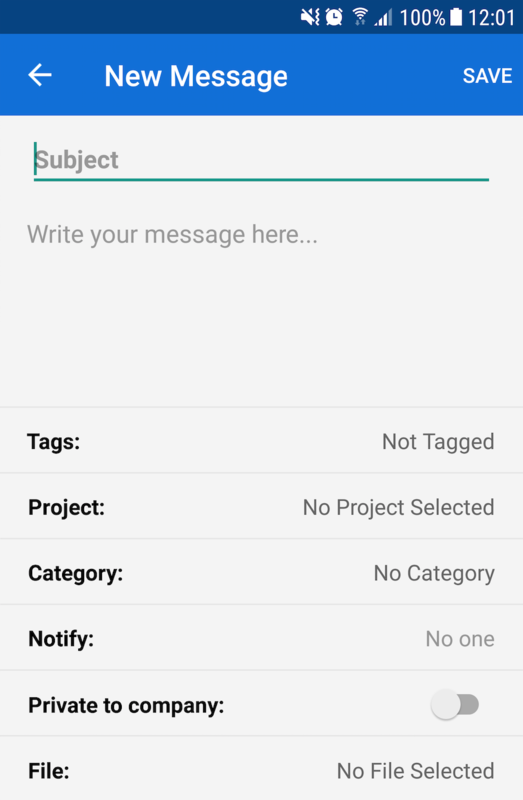 In the Add Message modal, you can add a title and description. 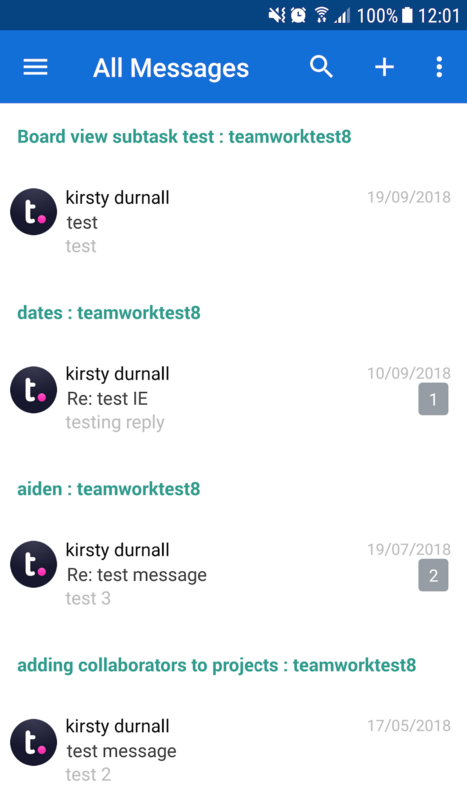 Select the Messages icon to see a list of all of your current messages. From here click the + symbol in the top right of the screen. 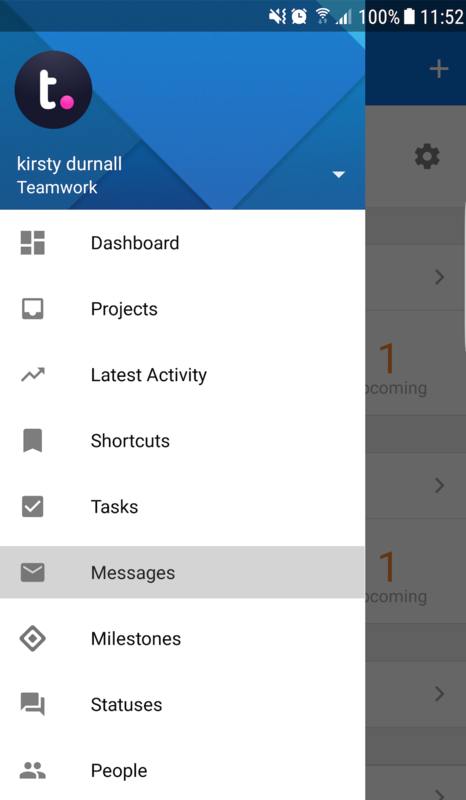 You also have the option to add a new message via the + icon in the top right of the Dashboard tab. 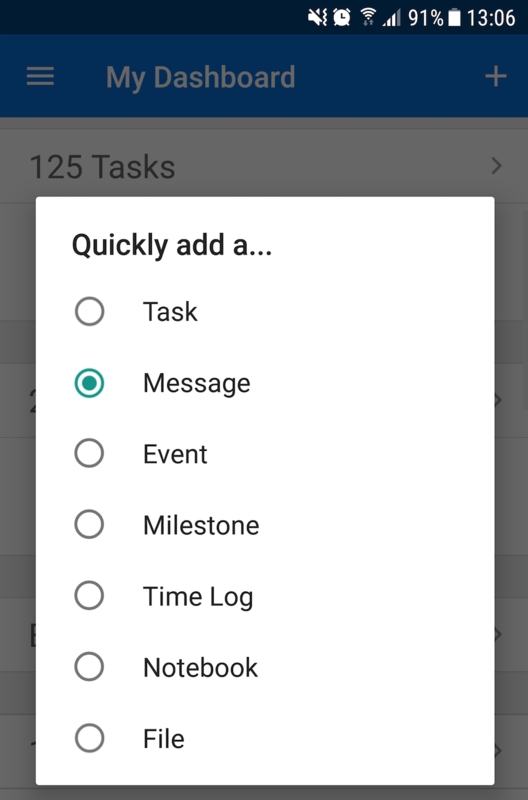 In the quick add pop up menu that appears, select Message to add a new message.